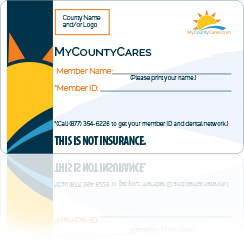 Get your MyCountyCares Free RX Card! With the MyCountyCares Free RX Card, you have access to discounts on most generic and brand name prescription drugs. On average, you will save 15% to 25% on brand name drugs and an average of 15% - 60% on generic drugs.